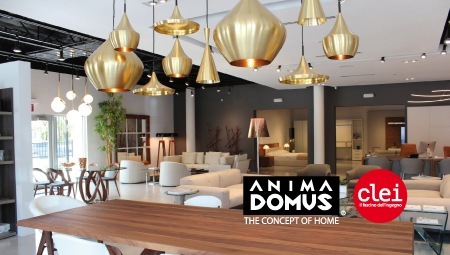 Anima Domus was founded in 1998 by Marconi Naziazeni to bring the American market a selection of the most sophisticated Italian products: today the firm specializes in the distribution of modern and contemporary luxury furnishings. In the two flagship stores in Miami and Aventura, customers can find over 40 brands, including Clei, Driade, Foscarini, Ozzio, Poltrona Frau, Porada, Tom Dixon, Tonelli and many others. The Anima Domus team focuses on major projects for retail and trade clients, supplying furnishings for interior designers and luxury homeowners in Florida, the Caribbean, Central and South America. Clei is famous around the world for the ingenuity, innovation and quality of its patented products, capable of multiplying the value of space in an era in which the finest ideas are always in motion. Founded in 1962, the firm has always focused in its modular and versatile programs – Living and Young System – on design for integration and easy transformation. The great compositional versatility of the systems makes it possible to create multifunctional solutions of high aesthetic value, multiplying spaces and personalizing them to match any lifestyle.